YATES, SCHUYLER COUNTIES—Comparing the first half of 2009 and 2008, the median prices for home sales are down in Yates by 11 percent and down in Schuyler by 6.3 percent. According to the New York State Association of Realtors (NYSAR), the median price in Yates in 2009 from January to June was $91,000. In 2008, during the same time, the median price was $102,250. The numbers are for single family homes and is the median number, halfway between the highest and lowest price. Pete Stoller, with the Greater Rochester Association of Realtors, said the average price has also gone down from 2009 to 2008. He said in 2009 the average was $148,700 and in 2008 was $197,359. However, Stoller cautioned that the average price is not always a good number to look at because it is easily affected by the most and least expensive homes sold. For example, he said the least expensive house sold in Yates during the first half of 2009 was $5,000 and the most expensive was $1,525,000. During the same time in 2008, the least expensive was $15,000 and the most expensive house was $900,000. 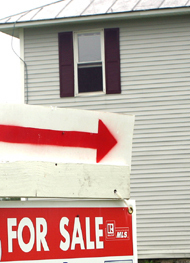 In Yates County fewer homes were sold during the first half of the year. 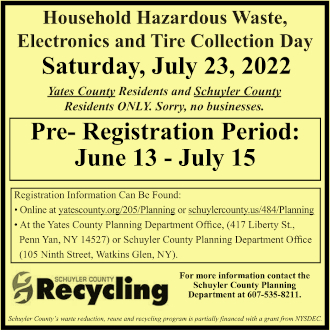 According to NYSAR, in Yates County the number dropped from 100 in 2009 to 123 in 2008. 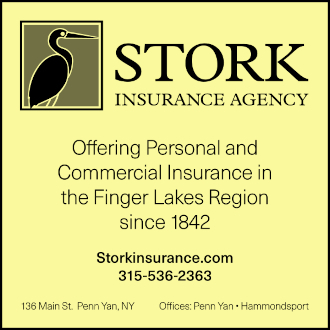 Tom Sbarra, owner of Sbarra & Wells Century 21 in Penn Yan, said that from November of last year to March of this year, there were not a lot of sales. He explained that as their market is mostly seasonal homes, business tends to be quieter in the “cold months.” However, Sbarra said that since April, sales have been picking up some each month. On the lakefront side of business for Century 21, Mark Malcolm said the prices of homes being sold has been increasing slowly since April, but the number of lakefront sales this year so far is still below the two last years. Malcolm said Century 21 had 30 closings and pending sales from January to June of 2009. In 2008 that number dropped to 55 and in 2007 there were 81 sales in the first six months. Vicki Schamel, a realtor with Ambrose and Shoemaker in Watkins Glen, said people are “coming off of the fence” and buying homes now in Schuyler County. She explained what people heard about banks and the economy were making them hesitant to buy. However, this year she said that in the first seven months (January to July) 44 homes were sold this year and 33 were sold in 2008. Schamel said that in 2009 the median price a home was sold at was $89,250 and in 2008 was $90,000, down 6.3 percent. The 2009 average sale price was $115,000 and actually increased from $98,337 in 2008. Schamel said though, that the average price can be affected by a home sold by a very high or low price. She said that in 2009 the lowest was $16,000 and the highest was $419,000. In 2008 the least expensive home sold was for $14,900 and the most expensive was for $248,000. She said that while the number of sales was up in the first seven months, people were mostly buying cheaper homes. Schamel added that inventory, or houses on the market, was also down. One area where Schamel has also started to see an increase is in lakefront property. She said those properties are picking up some and where slow at the start of this year.